Busy day today but thankfully it didn’t involve 8am pre-exam piano lessons for my son, a lost schoolbag, piano exams, bashed cars, builders de-constructing my kitchen, emergency visits to the optician and meetings with students about laggy attendance. Like yesterday did – before lunchtime. It did involve a supervision meeting and a research seminar. My supervision meeting with both supervisors provided the right amount of inspiration, affirmation and questions about possibilities: it was really quite significant in that the discussion around the field work I’ve done so far points towards a possible re-framing of my project into more of an action/participatory research orientated one rather than a case study. I’ve assembled some methodological reading on this and am really quite excited about it as it’s turned up a whole new dimension to my project. However this research project turns out I really want it to make a useful and maybe even usable contribution to what we already know about teacher professional learning. That, I feel is the very least I can do to justify the time and effort it will take me and everyone else who invests in me by indulging my pursuit of something I’m interested in. There is no baseline indicator of the usefulness of educational research. There are checks and balances which serve as quality indicators like the Vitae framework which elaborates SCQF level 12; review processes; the involvement of external examiners; peer review etc but usefulness or impact of a piece of work is not always the same as its quality. To be fair, the impact agenda in research is now a massive concern of funding bodies like the ESRC and of universities for formal research excellence assessment processes and maybe that’s the same thing, I’m not sure. 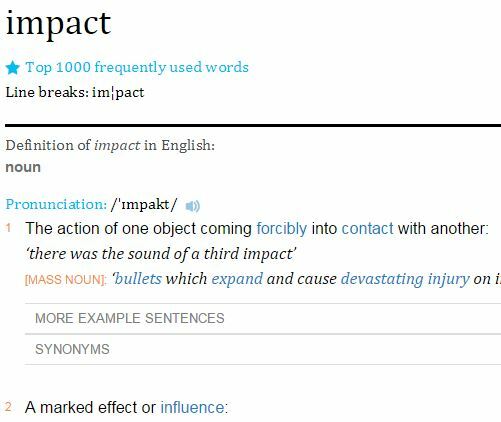 I see impact as a changing effect that happens as a reaction to or interaction with something. The impact debate in academia is heated and polemic and I don’t want to open it up here, but I would like to ponder for a moment the usefulness of educational research. If research isn’t useful and useable (to paraphrase Margaret Archer talking about social theory) does it amount to anything other than self-indulgence? I listened to a talk today about a study from a post-human perspective in the HE context and I found myself asking this question more than once. Foucault, Barad, Deleuze and Guitarri, Lather, Neitsche, Lyotard, Haraway, Bennett, Heidegger and Kant among others were all referenced but I still didn’t really understand what this study actually found out and what its contribution was. I might be wrong, but I’d be surprised if anyone did because the presenter didn’t actually tell us. I didn’t really grasp what questions the study was asking. I’ve listened to talks about educational research projects like this before, where theoretical work eclipses the empirical to such a degree that the participants who took part in the study are barely acknowledged and their voices so feebly represented that they really might as well not be there at all. For me there is an ethical issue here about using people’s time as well as the usefulness question. I fully accept that some studies make a theoretical contribution and not an empirical one, but again I would refer to Margaret Archer’s axiom I paraphrased earlier- a social theory should be useful and useable. If this isn’t the case, there are questions remaining as to purpose and also for me the question of when in academia does usefulness stop and self-indulgence begin? I will make it my pledge to try to always stay on the right side of that line – if it exists. This entry was posted in PhD, Research, Social Theory and tagged post human. Bookmark the permalink.